/ How to create colorful Facebook quotes & updates? 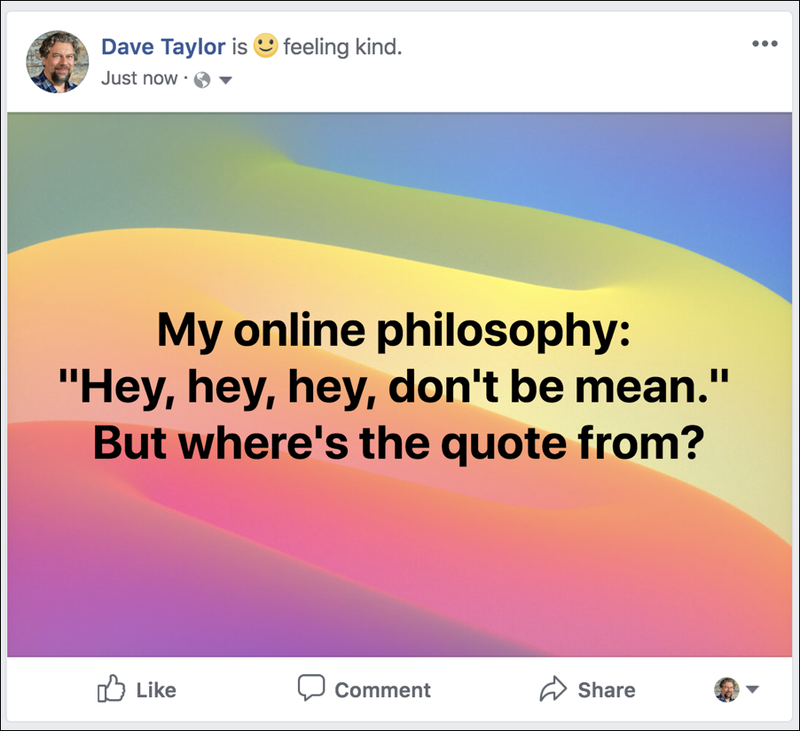 How to create colorful Facebook quotes & updates? My friends post quotes and questions on Facebook, but they’re really pretty with rainbow backgrounds and really big letters. How do they do that? Facebook stood out when it appeared on the scene because it didn’t let users create all these crazy profiles and instead had a nice, clean design with little clutter and a consistent blue and black on white color scheme. Helped a lot of people feel like they could indeed read what was on the screen without risk of a migraine popping up! Until recently, when Facebook has become more cluttered and even allowed people to create bright, colorful, some-would-say-too-colorful status updates with the click of a button. As you can see, it’s a bit easier to read now. You can click on various of the colored icons to try different background designs and options, and click on the white icon (the leftmost) to disable the colored background feature entirely. have fun, remember it’s all about gaining visibility, right?! Pro Tip: We have a ton of Facebook help here on the site. Please take the time to check it out!